One of the best tools for the job is the EZ curl bar. Bodybuilders and weightlifters rely on it to perform bicep curls for the gigantic arms you often drool over. For that matter, do you know why it has the weird shape? Is it better than the straight barbell? And how much does an EZ bar weigh? 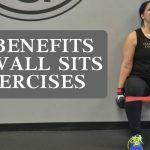 In today’s blog post, I am going to talk everything regarding EZ bar so that you can know which exercises to best use it for. 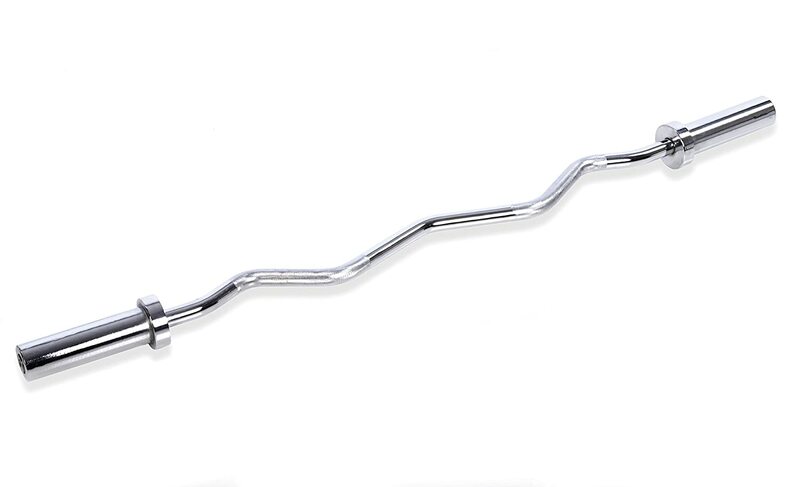 Designed by Lewis G. Dymeck, the EZ Bar, also known as EZ curl bar spots a unique zig-zag shape that’s very different from the usual straight barbells. Originally, the bar was referred to as Dymeck curling bar, in recognition to the inventor. The name has since changed to EZ curl bar which is a modern slang for easy mastery. Despite its seemingly complex configuration, this bar has a simple working principle. The contours you see along its length are meant to give your wrists a natural holding position, unlike in a straight bar. As a result, weightlifters can perform proper bicep curls while at the same time reducing the risk of injury, stress, and pain on the wrists and elbow as well. 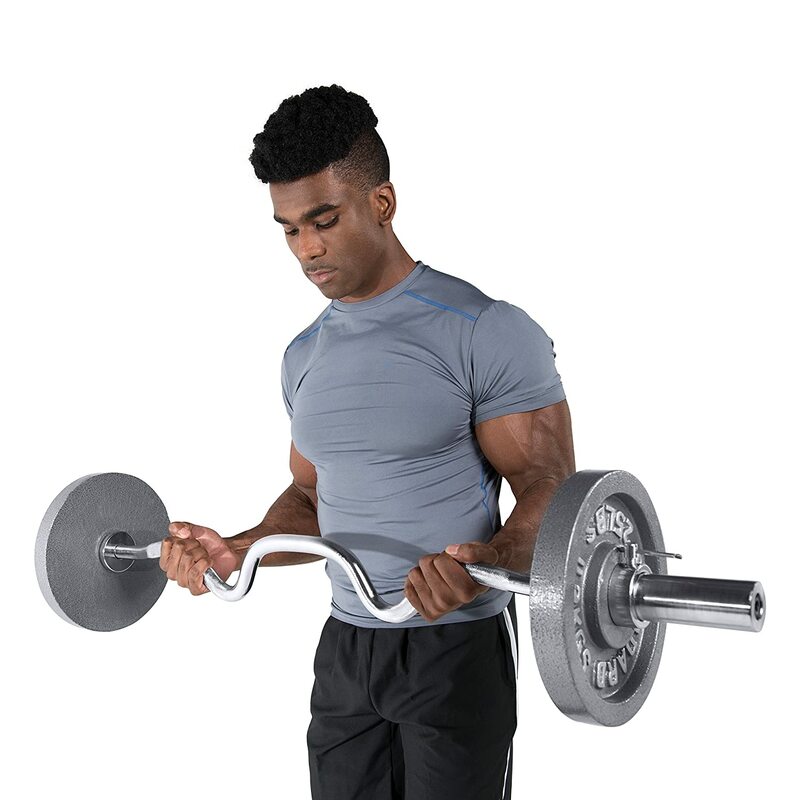 Rather than having your palms in an upward position like when using straight barbells, this curl bar puts your palms in their natural position. 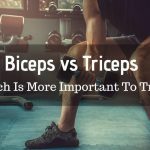 So, thanks to the bends, twists, and curves along the length, bicep exercises become less painful than when using a typical barbell. 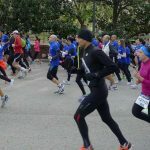 If you are starting out, you will still feel some pain, which is ideally part of the muscle building. For new myofibrils strands to grow, the old fibers need to be torn at a micro-level. Don’t get me wrong, this statement does not mean you cause unnecessary tearing of muscles at your joints, ligaments, and tendons. Here is where the less supination of your wrists with the ideal grip becomes advantageous. From a beginner’s point of view, there isn’t much difference between these two, apart from the weight. For a start, when using a straight bar, your wrists are in a fixed position, without the ability to rotate. 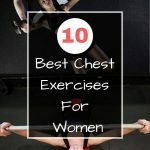 The pressure felt during a bench press and barbell curl thus increases. On the contrary, a curl bar gives your hands the ability to rotate differentially as they are in their natural positions. Another difference is in their weights. Of the two, the curl bar is both lighter (I will talk about the weight in a moment) and shorter in comparison to the straight bar. The lightness is meant to reduce the chances of overload at the wrists, hence injuries. Nevertheless, a straight bar also has its set of benefits. 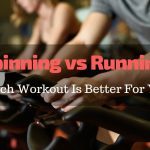 They are handier than curls when it comes to hard gainer workouts. You require tremendous strengths to pull off the exercise, of which the massive bar safely handles. A classic example is the renowned bench press that’s known to lead to bulky muscles. Now comes the weighty issue of EZ curl bars. 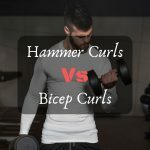 The befitting answer to this question depends on the type of curl bar you are using or the one you have found in your gym. There are 3 common categories of EZ Bars, with each having its own weight. The standard EZ bar is the simplest of the three. It’s mainly designated for beginners with a need for a light and short curl bar. Most of the bars are made from either a chrome plated steel or stainless steel, 1 inch in diameter. Each end is fitted with collars to mark where weight plates are placed. Once the plates are attached, rotatable cuffs or clamps secure them in place. A typical standard EZ bar can weigh between 15 and 17.5 pounds. However, this weight might also vary depending on the manufacturer. These bars are usually 47 inches (120 cm) longs. 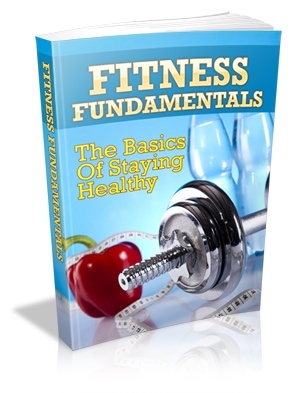 This type is the intermediate size meant for those who have been working out for a while. It’s slightly heavier and longer than the standard one, so you have to be well-versed with triceps curls to comfortably use it. Usually, the weight ranges from 20 to 25 pounds with a length of 132 centimeters (52”). Since it is meant to carry more weight, the design of the end collars differs with those of the standard one. Instead of collars, it has a sleeve and bearing design. In addition to bearing more weight, the sleeves allow the plates to spin freely during loading. Hence, the torque stress transferred to your joints is reduced. Butterfly clamps keep the weight plates fixed in position. 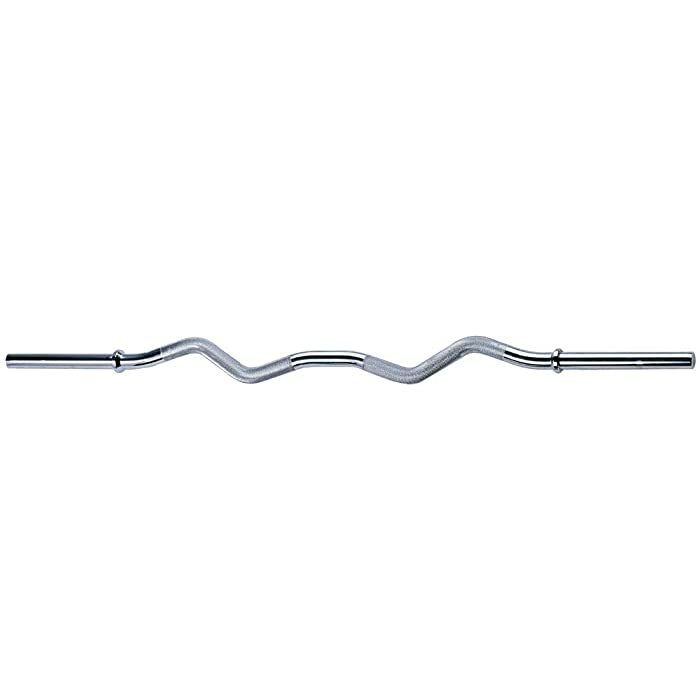 Olympic curl bars have contrasting specifications to those of standard bars because of their use in Olympic sports. Standardization is, therefore, necessary. These bars have a specific sleeve diameter size of 2”. Consequently, you can only use 2” Olympic size plates. Unless you are planning to lift weight plates of over 100 pounds, then I don’t think you need this curl bar. 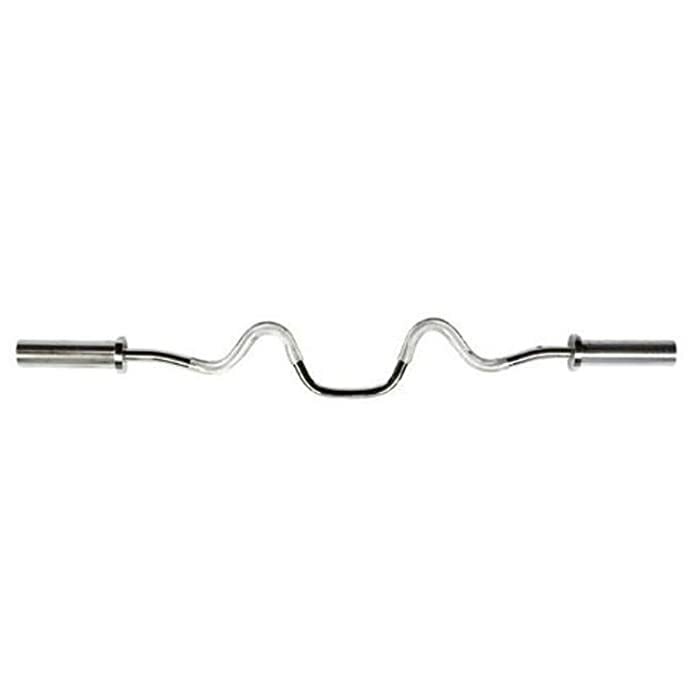 This is an advanced level curl bar with an almost similar appearance with the Olympic-sized bar, except for the more acute curves on them. However, the handle is more complex, with a feature that allows trainers to use a parallel grip for more bicep’s contraction. The bar’s weight ranges from 35 to about 37 pounds. If you look keenly, you will notice the presence of grip markings along the length. These markings are used to work specific muscles in your arm. While all the three types of curl bars vary in weight, you can never be sure of how much it weighs. The best way of being certain is to weigh the bar itself on the gym scale. 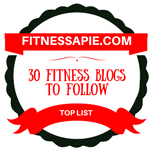 What Exercises are EZ Bars Most Suited? Apart from bicep curls, these bars are well suited for a number of exercises that gives your arms a thorough workout. Here are examples. 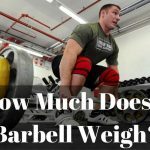 So, how much does an EZ bar weigh? 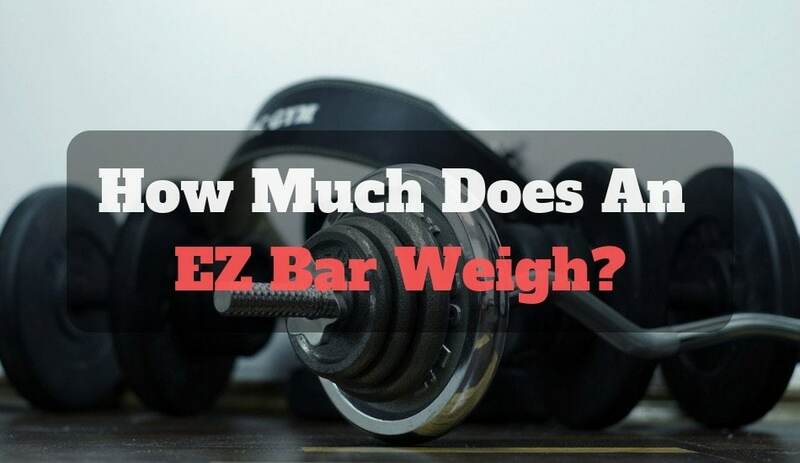 Being knowledgeable about how much an EZ bar weighs is useful when you are planning to buy the bar for the first time. Also, those looking to upgrade and customize their gym equipment may also want to know the weights of the equipment to equip their gyms with. Among the three types of EZ bars, it is the Olympic type that has a specific weight because of standardization. The rest vary depending on the material used, its length, and the manufacturer’s preferences. Simply weigh the bar to be sure of its weight. 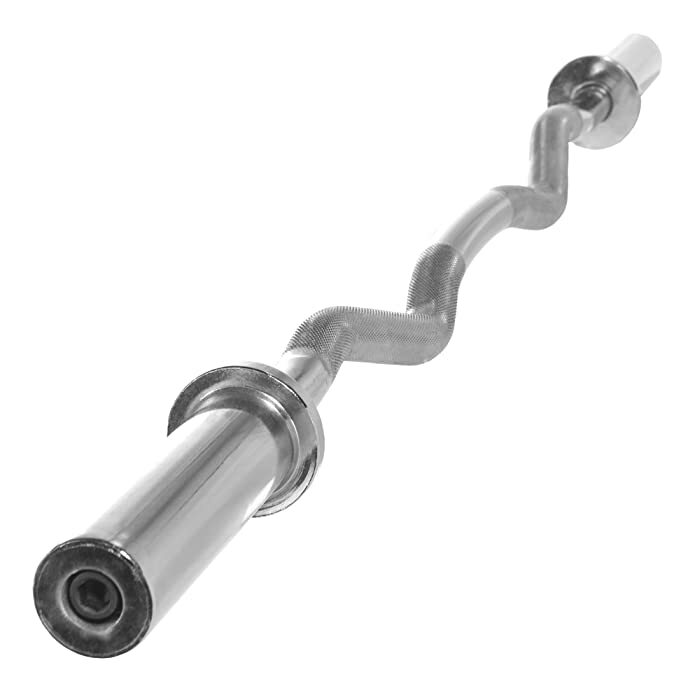 Another common debate is where the EZ curl bars are more effective than the straight bars. It is all a matter of preference as some feel the EZ transfers some of the strain to the brachioradialis muscles instead of the biceps. 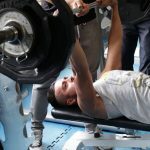 In my opinion, I would tell you to emphasize on safety and ergonomics over quick muscle strength gain.